Why do many orchestras have bad names? Because they don't know how to conduct themselves. 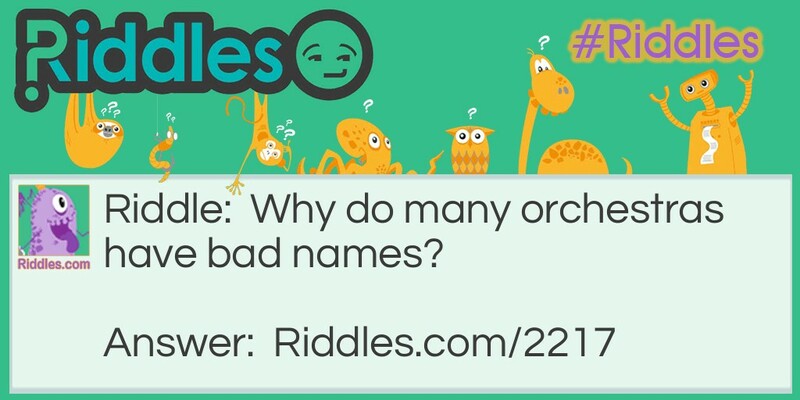 Orchestra Riddle Meme with riddle and answer page link.